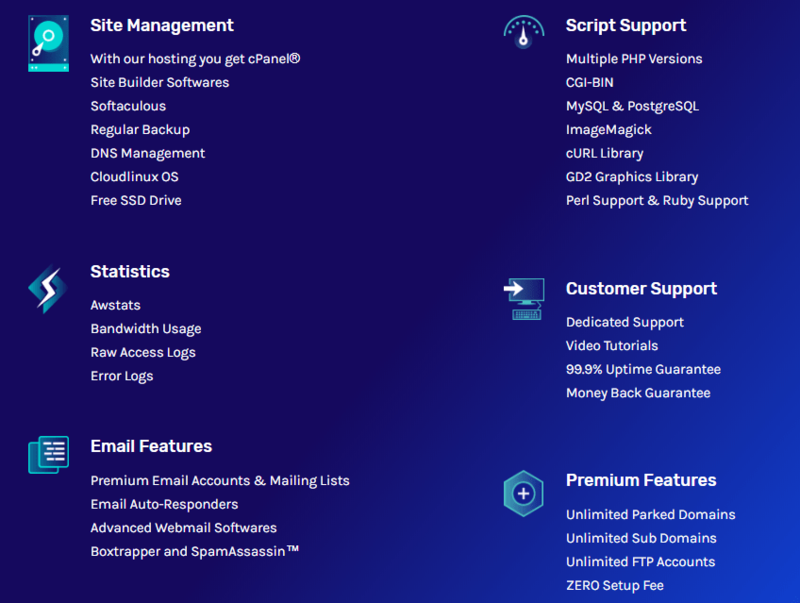 Super Byte Hosting Review 2019: Is Super Byte Hosting a Good Hosting? Super Byte Hosting is a leading web hosting company based in India. From web hosting and reseller hosting to VPS and dedicated servers, this company offers it all along with domain registration services. Super Byte Hosting began in 2009 with application development and web development. It got registered as a web hosting company much later in 2015. Today, it offers customers in different countries an extensive range of hosting services plus associated services such as logo design, website development, iOS and Android app development, and server management. 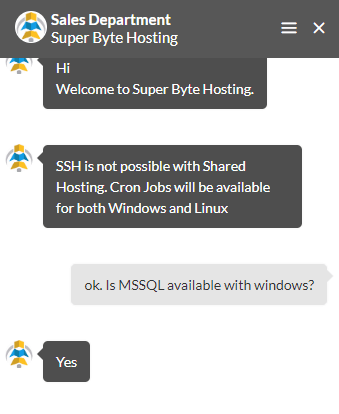 Super Byte Hosting offers three Linux and three Windows shared hosting plans. It also offers four WordPress hosting plans, three managed cloud hosting, three Linux and three Windows reseller hosting plans plus several VPS server and dedicated server plans. The Linux plans support 1 to 5 sites, 10 GB to unlimited disk space, and unlimited bandwidth per month. With the Windows plans you get support for 1 to 5 sites, 10 GB to 50 GB disk space, and unlimited monthly bandwidth. Both the Linux and Windows plans are backed by a 100% server uptime guarantee. Other interesting features include the Softaculous one-click installer and LiteSpeed Web Server, not to mention the use of SSDs in RAID-6 configuration for super-fast performance and data safety. Beginners with no web development knowledge whatsoever can create a website easily using the Weebly website builder. And if you’re looking for hosting with e-commerce features, you should choose the WordPress plans that come with additional optimization for a WooCommerce online store. Super Byte Hosting’s shared hosting plans are cheap, and the company offers more than fifty ways for you to pay for plans in U.S. dollars or Indian rupees. It’s somewhat surprising to see that several user-friendly features are not free. You have to pay extra for an SSL certificate, the Weebly website builder, SpamExperts email security, and CodeGuard website backups. No wonder the base costs look so low. Billing cycles range from monthly to triennial, but there is no benefit in buying a longer-term plan because you get no discount. If you are still tempted to sign up for a long stretch, you can take comfort from the 30-day money-back guarantee that should get you out if anything goes wrong within the first month. This provider’s self-support resources are substandard. The knowledge base contains only three articles, the FAQ page is equally unimpressive, and the blog is bare. On the face of it, Super Byte Hosting can give you high quality hosting at low prices backed by multiple server locations around the world. One thing I found annoying was that I got several “page not found” errors when trying to navigate to the hosting plan description pages. See Super Byte Hosting affordable Linux/Windows hosting plans. Wondering how Super Byte Hosting stacks up against other Web Hosting companies? Enter any other Web Hosting company and we will give you a side-by-side comparison.